There are times when life throws us into trying situations that isolate us from the understanding of others. In 2014 Gordon Meade was diagnosed with cancer. In his 9th poetry collection he takes the reader on a full tour of the battlefield – from the diagnosis to the battle itself and finally, its positive verdict. 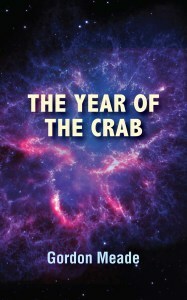 The Year of the Crab is split into three parts, each relating to a different place the poet has lived in. The book is immersive; it reads like a diary, full of Meade’s personal feelings and struggles. This is not a collection of complex, poetic language or convoluted metaphors (although that is not to say there are no powerful metaphors within). Some poems are just a sentence or two split into lines and stanzas and therefore feel like they try to convey more than they really stand for. I have to admit, after going through the first couple of pages I started to assume that the collection would just be 80 pages of simple, direct sentences elevated to the status of poetry due to the difficult topic. I’m happy to admit I was wrong. As the book progresses, the atmosphere gets more potent. The plain language grows in meaning and even though the words are still quite basic, the reader now knows the road that led to them being uttered. ‘There is nothing fancy about cancer’ – these words figure on the back cover of the book and stand to summarise the overall collection: a genuine and direct read. After reading a couple of poems, what’s not fancy becomes desired the most. For it’s not in the simple words that it’s found, but in the simple images that suddenly become powerful metaphors, brutal or hopeful. In this dichotomy Meade finds his reality; torn between living and dying, he craves comfort. whether or not its head was still there.